You are a woman facing an unplanned pregnancy. More than that, you are brave and considerate for taking the steps to learn more about adoption. Adoption is a selfless, loving choice that allows you to make a plan for your baby – such as finding a stable, caring family to raise him or her – and to give your child the best possible life you can give at this time. If you are not ready to become a parent right now, adoption may be a positive option for you. It is important to know that adoption is not an easy decision. It is a decision that many expectant mothers make with a heavy heart full of love, in the best interests of their children. Right now, you might have many questions about the adoption process. What should you expect? How will you know adoption is the right choice? What kind of adoption plans are available to you? 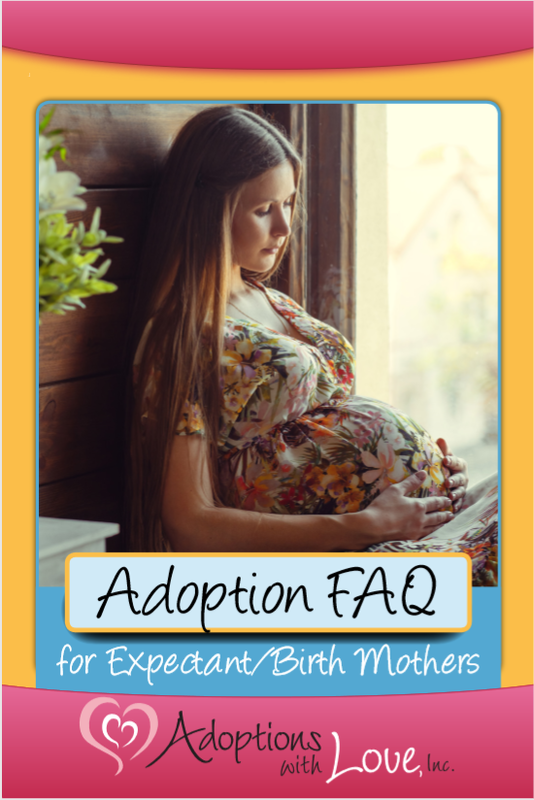 In this guide, Adoptions With Love addresses some of the frequently asked questions that expectant and birth parents ask when considering adoption. From financial assistance (how much does adoption cost?) to the rights of your baby’s biological father (does he need to be involved? ), we are here to educate you on all that adoption involves, and to help you make the most informed decision possible for both you and your child.